Honey & Butter: Nostalgia in a Dish. Have you ever come across a dish or bowl, either in your mother's kitchen or at a relatives' house, that brings back childhood memories? My mom has a few random solitary pieces that Sizza and I almost seem to fight over using. I don't know if it would be called love, but I have often found myself saying just that; "Oh, I love that plate." Seems odd, now that I am typing the words. Well... 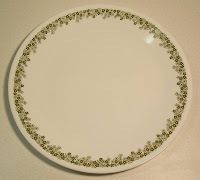 I have actually gone a step over odd- I found most all of my childhood dinnerware on Ebay, and bought them all- plates and bowls, cups and saucers. Yup, and I gotta say, I do love it! Nostalgia, at its best, everyday, coming out of my dishwasher. I would never have thought that doing dishes would put a smile on my face. 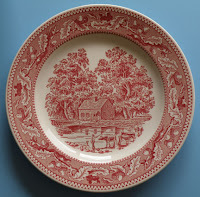 One of my favorite things about the red ones, is that my grandmother purchased that original set with stamps, "coupons", from the local paper. 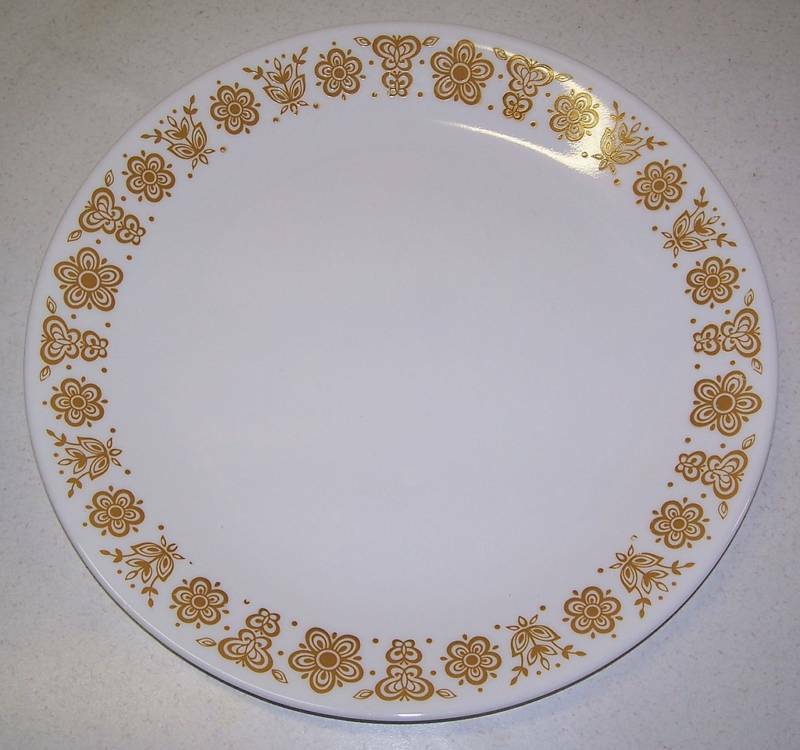 One plate was issued per week, and with those she had a full set. 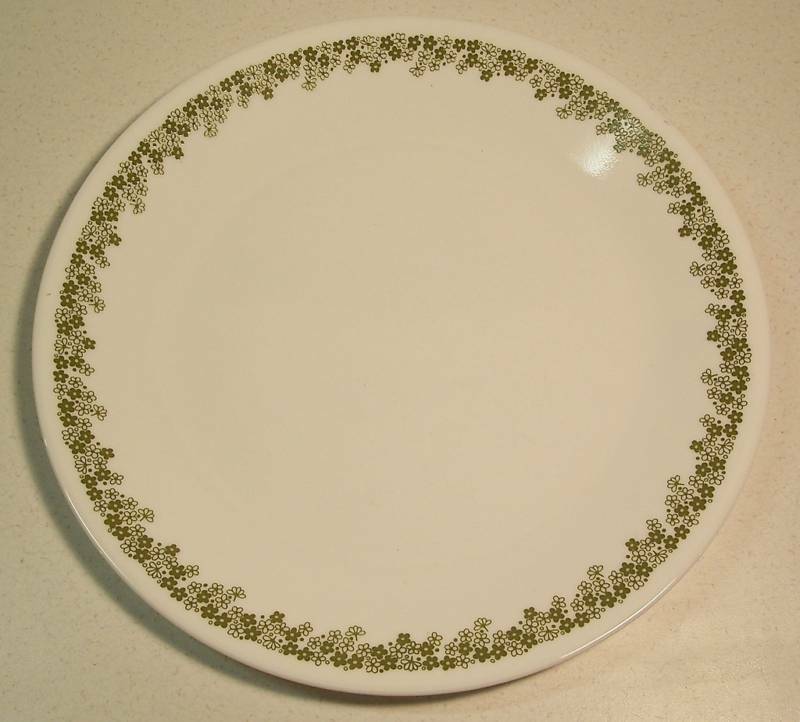 The gold was the set from my other grandmother's house, and the green were what we always had in ours. My mother got them for a wedding shower gift. Simple items, nothing extravagant- but the feeling that they bring is what stirs up that feeling of sweetness. The food cooked, the times spent with people we've lost and those we still are enjoying today. My wish for my kids is that they have that too. Not just items they possess, but ones they'll eventually treasure.